While attending the London Toy Fair 2017 we spoke to an enthusiastic guy on the Wicked stand, talking about the company's latest products. Little did we know that that was actually Wicked's MD, David Strang. We grab five minutes with the Scottish born - but Australian raised - boomerang expert. 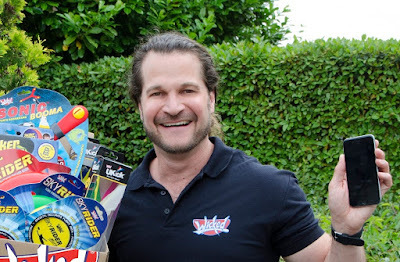 Hello, I’m David Strang and I run toy company Wicked. When I’m not coming up with new and fun outdoor toys for all the family to enjoy, my hobby is ‘Boomajumping’ – taking my trusty Booma boomerang with me to locations worldwide. 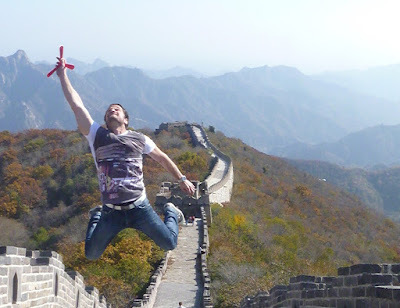 Over the years I’ve boomajumped everywhere from Times Square to The Great Wall of China right through to Everest Base Camp – but there are still plenty of spots on my wish list! 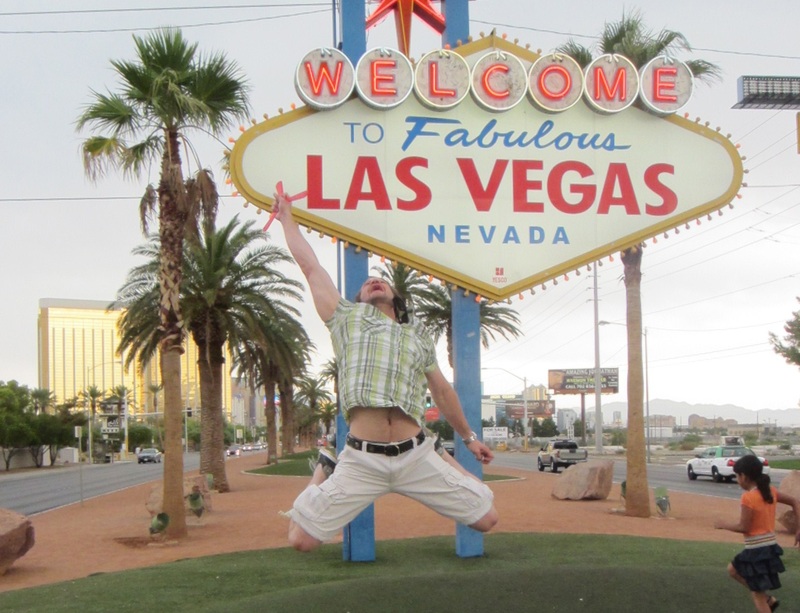 What is Wicked all about? Wicked is the world’s largest manufacturer of returning indoor and outdoor boomerangs. We also produce a huge range of flying and fun outdoor toys, including our whopping 2.5 metre Mega Bounce XL ball and our very popular Sky Spinner spinning disc. We’re always innovating, and our products are now sold in over 45 countries and through numerous UK channels. How did you get started with that? I launched Wicked just before the turn of the millennium, back in 1999. Originally, we focused on just one core product: returning boomerangs. But the business has grown hugely since our humble beginnings. Despite our growth, all of our boomerangs and other flying toys continue to be manufactured right here in the UK, and we’re very proud of that fact. What is an average day like for you? No two days are ever the same for me, but as Wicked’s MD my day typically kicks off with reviewing daily business opportunities with my team and overseeing order fulfilment and logistics – the customer experience is so important to us as a business. I’ll also speak each day with both new and existing distributors, and spend a lot of time on the development of new products – we’re always kicking around fresh ideas, seeking out inspiration, and testing out our latest toys to make sure they’re the best they can possibly be. Unsurprisingly, that’s still my favourite part of the job! What’s really changed for me in the last few years is the amount of time I now spend each and every day dealing with export markets – we’ve witnessed a huge uplift in overseas sales recently, especially to a surprising market: Australia. 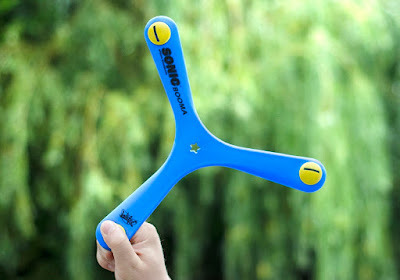 Our UK-made boomerangs have proved very popular with Australian customers and have been very well received. With this, of course, comes a ton of travel, both locally and internationally. We regularly exhibit at international trade shows to maintain a high profile in key markets, and I also travel extensively to visit and meet with those working in our factories worldwide. Where do you see the toy industry going in the near future, and how might you have to adapt? That’s a really interesting question. Many believe that immersive technologies such as virtual reality and augmented reality are the future of the toy industry, but I actually feel strongly that we’re seeing a trend towards going back to basics; and it’s not just me saying this – retailers have told me they’re seeing a resurgence in this too. The delight of true, outdoor, active play is coming back to the forefront for many, as more and more parents encourage their kids to step away from screens, get outside and get active through play. Of course, with this is likely to come more competition for us, but we’re ready to meet the challenge. Boomerang sales have risen sharply for us because of this growing trend and it’s little wonder: boomas offer the chance to learn a new skill in the great outdoors (we have an Indoor Booma too! ), are terrific exercise, and also look very impressive when in flight. There’s simply nothing quite like the gravity-defying sight of a returning boomerang, and we now have a full range that includes our Sonic Booma, a whistling version that offers an exciting multi-sensory experience for all the family. What advice would you offer to someone keen to follow in your footsteps? My business was founded out of my personal passion, and I believe that lies at the foundation of any successful company. To succeed, you need to do things that excite and inspire you: it really shines through if you’re excited about the products you sell, rather than just chasing the latest trend. The number one piece of advice I can offer is this: think of a passion, and then build your business around that. I launched Wicked at a time when everyone else was turning their heads towards technology, because I believed strongly in the power and importance of outdoor play. I’ve continued to proudly champion this belief. What kind of gadgets interest you most personally? Are there any funny or quirky gadgets that you can’t live without? For me, the one piece of technology that’s essential to my life is my phone: it covers everything I need, from movies to music to keeping me organised. But my phone aside, technology isn’t a big part of my life – I don’t use any gadgets to track my fitness, for example. I believe in keeping things simple and enjoying the great outdoors, and that belief drives everything we do here at Wicked. Find out more about Wicked at www.wickedvision.co.uk or by following @WickedVision on Twitter.